The world of mural wallpapers has taken a step in the 3D direction in recent years, inciting a wonderful trend for 3D wall murals that really make a room pop. This brilliant mural style utilises a wonderfully immersive aesthetic, from bold and vibrant designs to something a little more sophisticated. Smaller rooms can be given a whole new lease of life thanks to the 3D mural wallpapers, giving the illusion that the space is bigger than it is, and allowing visitors to enjoy the exciting surroundings. Perfect for office spaces, meeting rooms, homes and retail, the wide selection of illusional murals can give you that added edge or style, perspective and design. 3D wall murals aren’t just about creating the illusion of being somewhere else, show your artistic side with a range of fantastic colourful shapes, designed to instil calm and relaxation whilst also transforming your room into a whole new world. Lose yourself in the modern cubism masterpieces of the Woodland Cubes wallpaper. A touch of nature mixed with the modern style that creates a 3D masterpiece in any room. We all love a good optical illusion. Put a bit of sparkle into your living or office space with a mesmerising optical illusion shape. Watch as you lose yourself in the calming, carefree aesthetics of the fantastic wallpaper and de-stress from a hard day at the office. 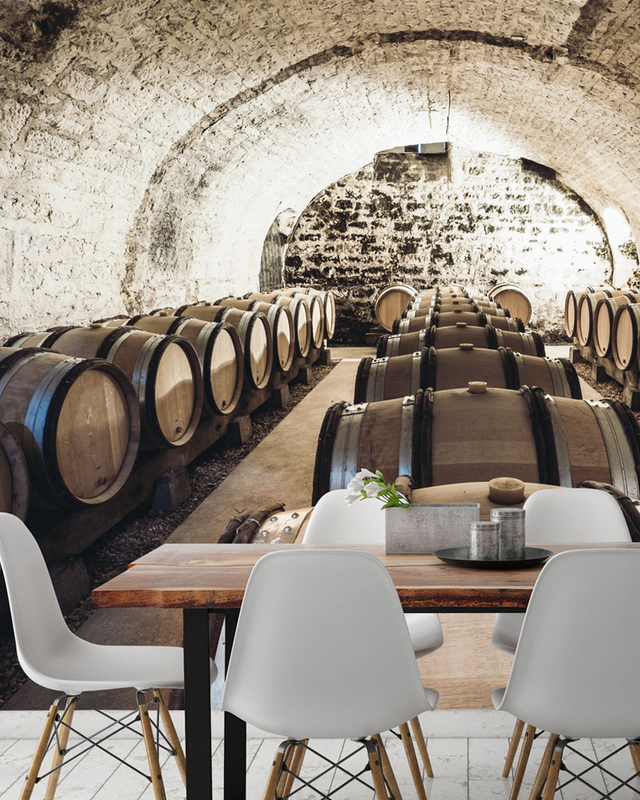 Alternatively, show your more sophisticated side with a range of wine cellar motifs, perfect for wineries and dining rooms, the dimly-lit elegance and grace of these 3D wall murals inject a passionate sense of class into any room. Lights and colours swirl and sway in our range of light-filled wormhole 3D wall murals. Step into the light and experience a world of excitement and space-filled wonder which will have you, your guests, staff and clients unable to take their eyes off it. Bring relaxation and creative inspiration into studies, living rooms, meeting spaces and showrooms with this fabulous mural. Become an explorer with our range of cave tunnel murals. Immerse yourself and your visitors into a whole new world of discovery with the natural environment. Create safe, calming spaces within retail spaces or showrooms, or even home studies, to give yourself a little taste of natural architecture and show off your adventurous side. 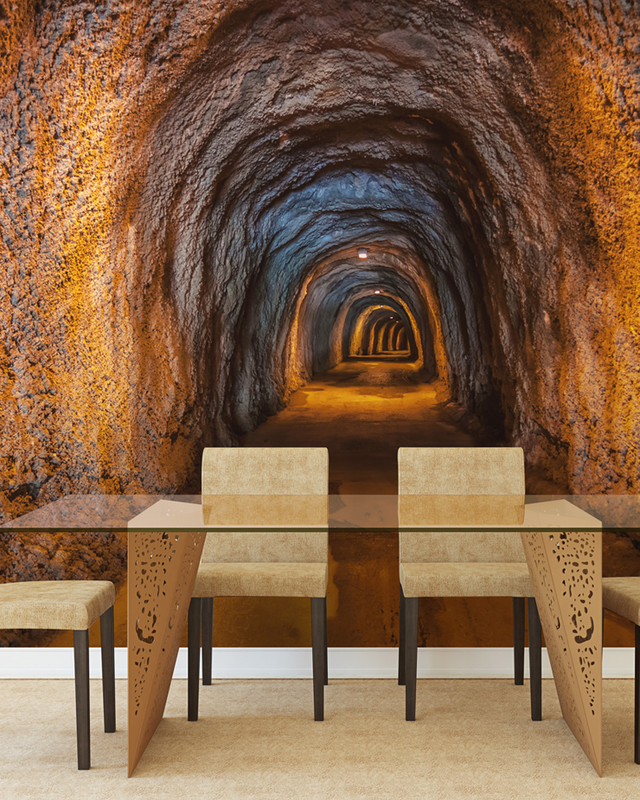 Our range of tunnel and cave murals give you a great opportunity to maximise the space available in your home or office. Smaller spaces can seem claustrophobic and might not incite the feeling of comfort and calm that you want for yourself, your clients or your staff. So maximise the space you have with a simple 3D mural wallpaper design to create the illusion of more space. 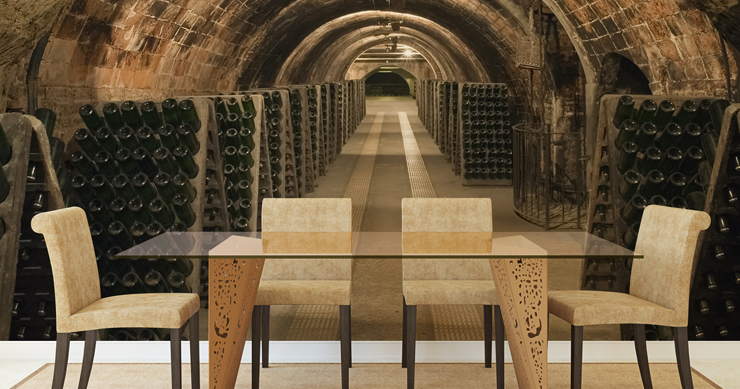 Pair our awe inspiring winery and cave murals with a range of antique furniture to give your home, retail space or showroom the perfect, classic look. With a roaring fire, a traditional interior design flair can create warmth to a living room, dining room or even a showroom. Here are some tips on how to create the perfect look with antique furniture. Adventurers, nature lovers and art and architecture appreciators rejoice! Imagine if you could create new worlds, new places within your kitchen, dining room, living room, bedrooms and even hallways! Well with the 3D wall murals you absolutely can. 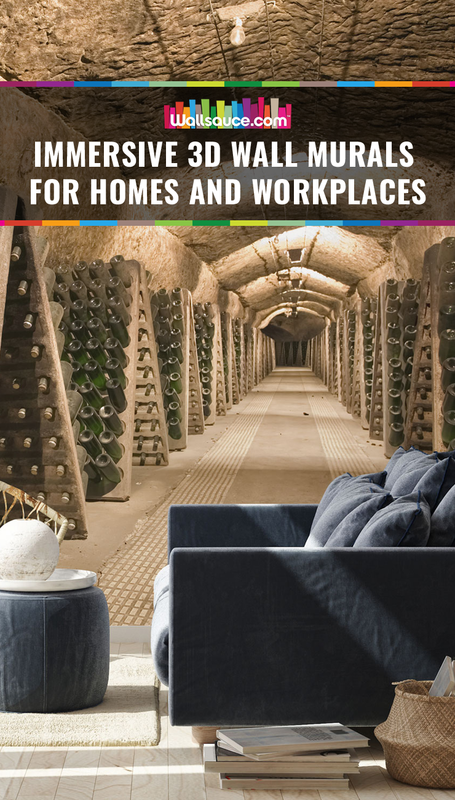 Choose from a wide range of bold, bright colours and shapes to add some much-needed light, create an atmospheric dining area or kitchen with our incredible wine racks and wine cellar murals, or simply create more space and allow yourself to be reminded of the adventure and nature of caves, tunnels and even optical illusions. Give your boy a wonderful new bedroom style with a range of cave, tunnel and light murals that he’ll enjoy in his new-found ‘mancave’. Take a look at some of our other tips on how to spruce up your boy’s bedroom. Our wonderful 3D wall mural range gives home offices and studies the perfect environment. From bright, innovative designs which can help to maximise creativity and get the juices flowing, to more calming, relaxing environments designed to immerse you into a natural environment to de-stress and improve productivity. Brighten up your office space or retail space hallway with a brilliantly bright and airy mural. Perfect for creating a dynamic environment and helping to release tension and stress, the artsy, bright Antwerp-Stairs 3D mural is a wonderful addition to an office stairwell, meeting space or break room. Staff are an important part of a company, and happy, relaxed staff are more productive. So, why not jazz up your staff meeting areas to increase creative flow and productivity, or give your break room a new lease of life with some art-focused murals, incorporating clean shapes and calming neutral colours. 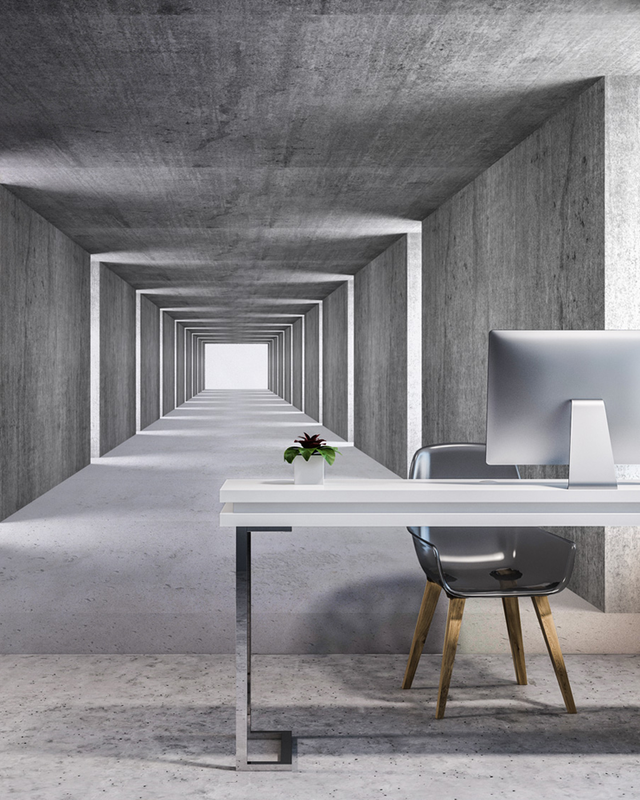 For those with a more dynamic workspace, give your staff and visitors a taste of who you are with an optical illusion that will keep them mesmerised and on-target. 3D murals are an incredible way to escape from the pressures of work and play, giving office spaces, showrooms, retail spaces and homes the edge they need to create perfect environments. Choose from our fantastic range full of a wide selection of different styles, colours and aesthetic nuances to instil peace, inspiration, calm, creativity, adventure and excitement into your space. With so many wonderful pieces to choose from, which do you think would look best in your space?